The boy and I are heading out of town for Labor Day weekend and I can't wait to get out of the city for a few days as a final hoorah for summer. 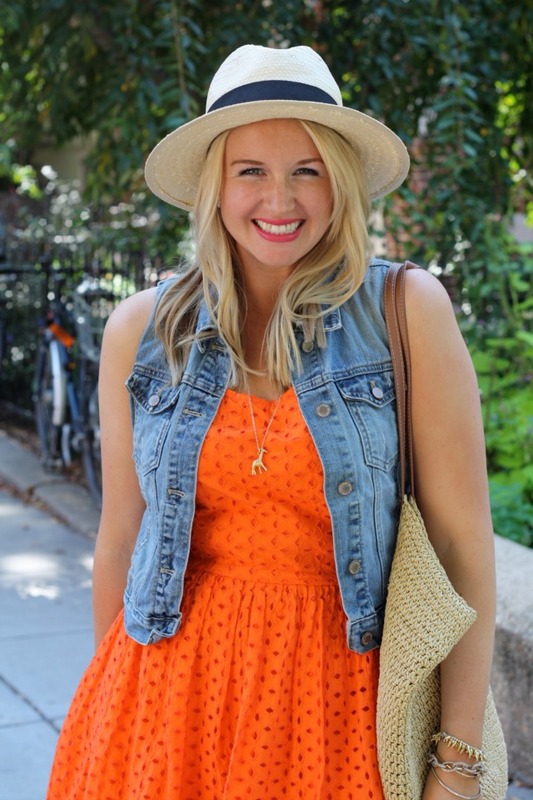 This summer flew by but students are back on campus and Labor Day is here which means its time to pack up my favorite panama hat and sundress and start gearing up for fall. Which is a-okay by me since I'm a crisp weather, pumpkin flavored everything, boots and scarves kind of girl. I love the color of your dress. This look is JUST GORGEOUS! Pinning right now, so I can try to recreate this look!